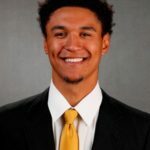 Iowa junior forward Cordell Pemsl underwent season-ending surgery Tuesday afternoon. The announcement came Tuesday by head coach Fran McCaffery. “Cordell’s procedure removed hardware near his knee from a previous surgery when he was in high school,” said McCaffery. Pemsl (6-foot-8, 230 pounds) has seen action in only two games this season, playing 13 minutes against UMKC (Nov. 8) and 18 minutes versus Iowa State (Dec. 6). The native of Dubuque, Iowa, has played in 68 career games, averaging 7.2 points and 4.7 rebounds per game.